Ever the brave and gallant knight, you have become the right hand of your monarch. Tales of your heroic exploits fill the land. The noble beauty and strength of the Galahad Paladin Armour Set shields one worthy of its protection. 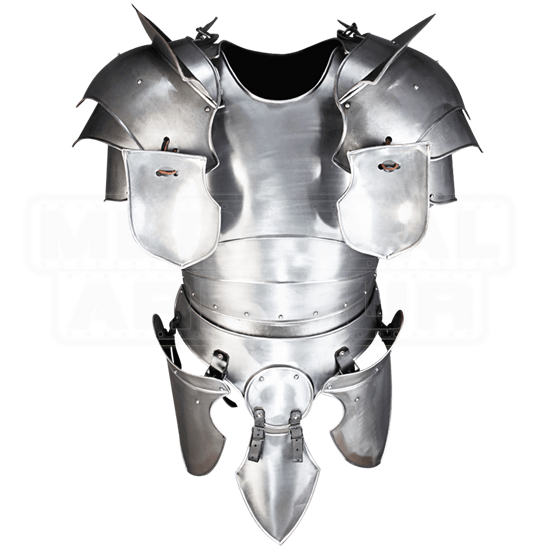 Enjoy the full protection of this set, which includes cuirass, spaulders with sword breakers, besagues, tassets, and a belt shield. 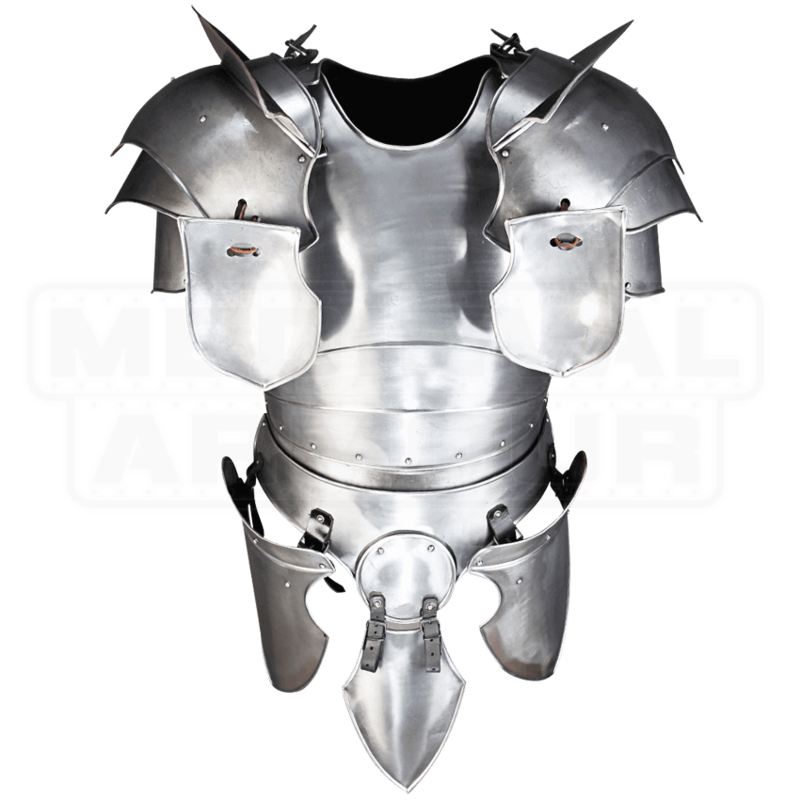 This armour set includes adjustable straps for customizable fit over padding and chainmail. Rivets and detailed edging contribute to the traditional look of this paladin armour set.